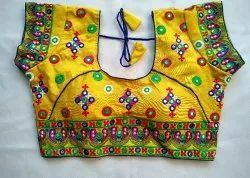 Prominent & Leading Manufacturer from Vadodara, we offer ladies embroidered blouse, brocade blouse - fancy blouse - daily wear blouse-2019 blouse, embroidered designer blouse, brocade heavy material blouse 38"/40"/36"/party wear blouse /, indian fancy blouse - halter neck blouse - backless blouse - party wear embroidered blouse and indian kutch embroidered blouse - navratri wear blouse - gujarati blouse - gift. Backed by years of industry experience, we are engaged in offering a premium quality range of Ladies Embroidered Blouse. 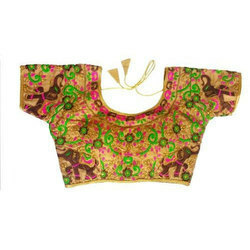 Being a customer oriented organization, we are deeply engaged in offering a wide array of Embroidered Designer Blouse.